Book 2 in the series is now out! 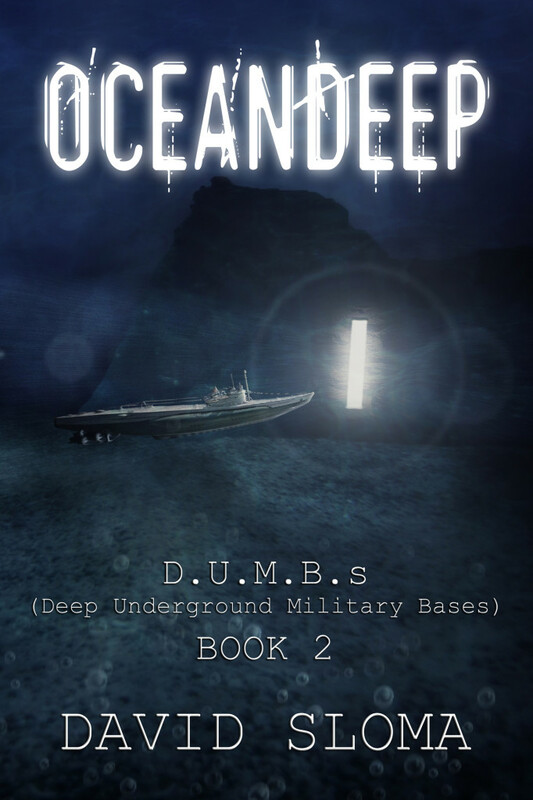 Oceandeep continues the story of civilian contractor Leon Verdat who finds himself working under duress for a black ops military group battling Grey aliens from their secret D.U.M.B.s (Deep Underground Military Bases) around the world. The group needed his skills building underground tunnels and were prepared to stop at nothing to get his co-operation. Fearing for his life, his family, and his business, he agreed to work for the group. It may be a decision he lives to regret. If he lives. There’s an underground war being waged against the Greys who are kidnapping vast numbers of humans for unknown purposes and Leon’s in the thick of it. He’s already been wounded in a previous battle with the Greys and it’s not over yet. He’s about to learn that not all D.U.M.B.s are under the ground: some are under the sea.